Barbara Pennington proofing a lithograph print with Professor Richard Zoellner. Barbara Pennington proofing a lithograph print with Professor Richard Zoellner. 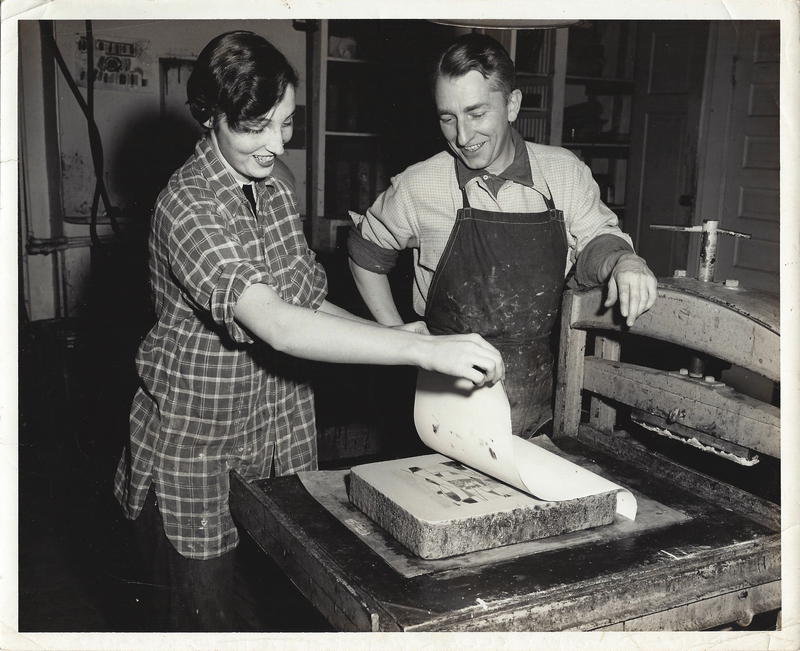 In 1945, Zoellner founded the printmaking program in the art department, the same year that the BFA degree was introduced. Photo by Laurens Pierce, a photographer in Montgomery who made a number of photographs of UA subjects in the 1950s. Photo from the collection of Barbara Pennington; reproduced courtesy of Vicki Moreland.